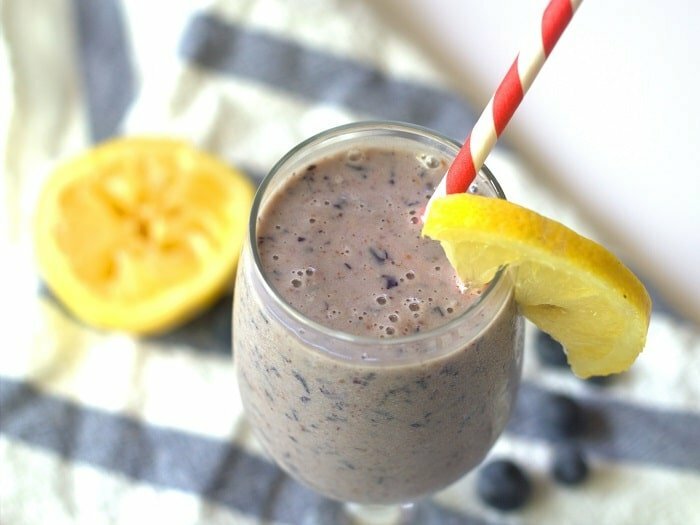 Rich almond butter, zingy lemon, and sweet blueberries go into this refreshing, but also rich and creamy, summery lemon blueberry smoothie. 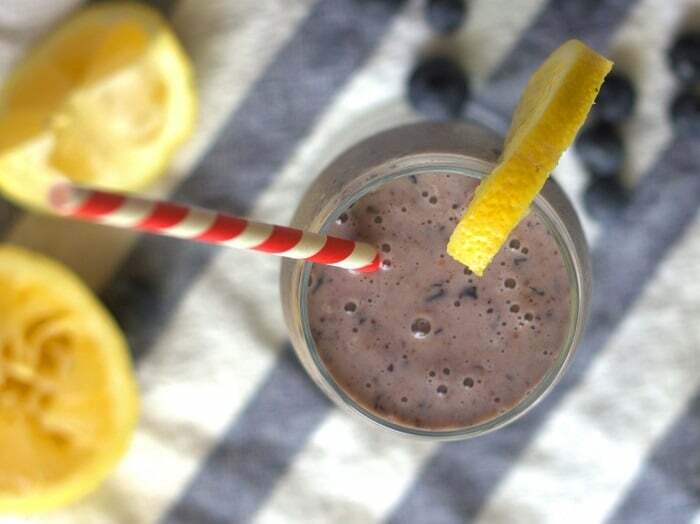 Another weekend, another smoothie! As luck would have it, I chose what I consider to be one of my summeriest smoothies to share on a very unsummery day. It poured all yesterday here in the northeast. The rain has stopped today, but temperatures are definitely cooler than normal. I normally enjoy this kind of thing, but I’ve been felling a little draggy lately, so I could’ve used a little sun as a pick-me-up. 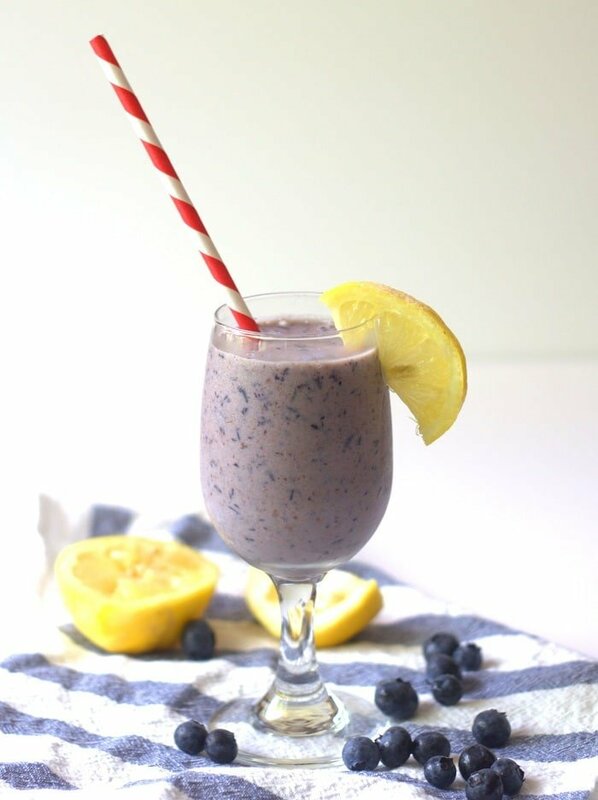 The next best thing would have to be a particularly sunny smoothie, and there isn’t much that screams “sunshine” louder than lemon and blueberries. The verdict is still out as to whether or not this thing actually gave me an energy boost, but it was delicious, so at the very least I got a smile out of the deal as I sipped it and lazily edited photos on the computer. Enjoy this on a sunny day, or a not so sunny day. Let me know if you get a little pep from it. 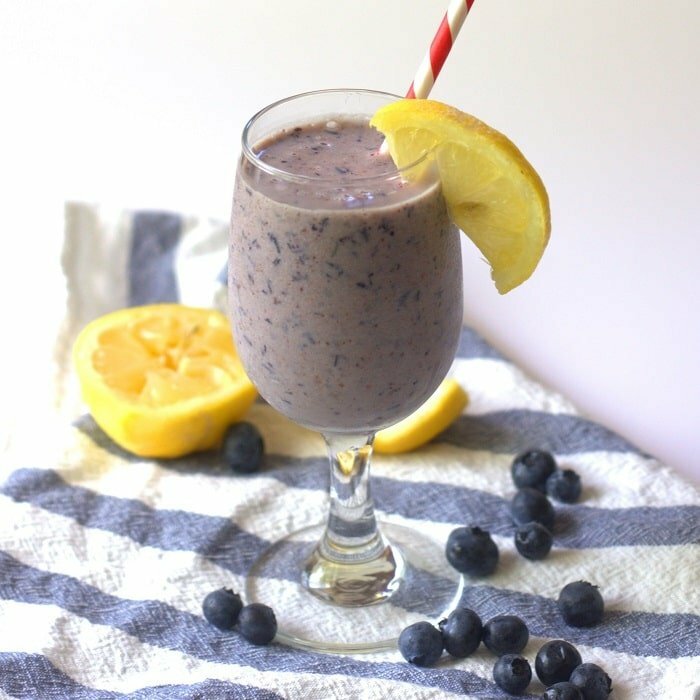 Just made this smoothie – the lemon and blueberry flavor combo is so summery. Thanks for another great recipe! It is SO summery! Glad you like it. Thanks Lisa! I made this for breakfast today and it really is lovely. None of the individual flavors are overpowering and instead they create a very nice blend. And it really does taste like summer!